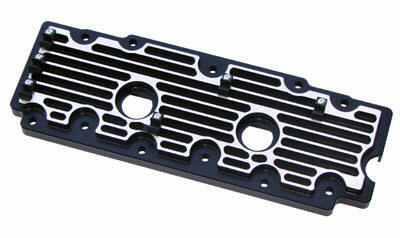 Stop leaking valve cover problems for good with these precision CNC machined billet aluminum covers. A direct bolt on replacement for the problematic factory valve covers. This is the newest innovation in valve covers with multiple improvements over any other valve cover on the market. All cover sets come in pairs, and the lower covers come complete with plug wire retainers and retainer hardware. Available for top or bottom of 911, 964, & 993, including twin plug 911 and 993 turbo engines. Direct replacement for factory covers. End valve cover leaks for good. Attractive anodized finish for corrosion protection. Plug wire retainers included with lower cover sets.